There’s no denying that the internet has changed real estate immensely, especially when it comes to searching for homes. But what hasn’t changed much is how people find real estate agents. Fewer than 1 in 10 homebuyers and sellers found their agents through a website last year, similar numbers to a decade ago, according to historical survey data shared with Inman by the National Association of Realtors (NAR)from its annual report on homebuyers and sellers. According to the trade group, buyers and sellers were far more likely to pair up with their agents through friends, neighbors and family — over 40 percent of buyers and sellers found their agent using these human referrals. The data challenges assumptions about the importance of online advertising for real estate agents, while serving as a reminder that tapping analog social networks and past clients for business can still pay off big time for professionals. It may also reveal a dilution in online lead quality and new buyer search habits, some agents and industry analysts said. Only 9 percent of homebuyers found their agent through a website in 2017, unchanged from 2008 and down from a peak of 11 percent in 2012, according to historical survey data that NAR provided to Inman. 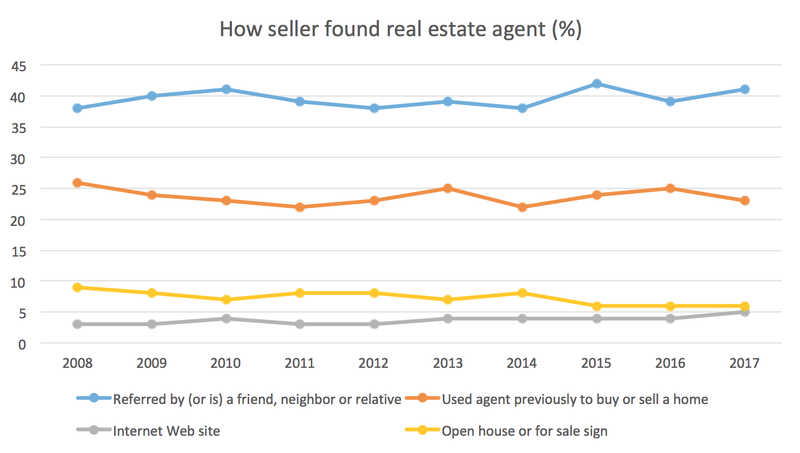 Meanwhile, the share of sellers who found their agents from a website registered at just 5 percent in 2017, only up from 3 percent in 2008. Open house and for-sale signs combined yield virtually as much business for Realtors as websites today, with their potency as business wellsprings declining marginally over the years, the data shows. On the other hand, existing relationships are just as dominant a source of business for agents today as they were in 2008. A total 42 percent of buyers found their agent through a referral from a friend, neighbor or relative, and 12 percent used an agent who they previously worked with — also virtually unchanged from 2008 levels. As for homesellers, 41 percent found their agent through a friend, neighbor or relative. That’s actually up from 38 percent in 2008. And 23 percent of sellers used an agent they worked with previously, down only three percentage points from nine years ago. All of this suggests that “even though there is more information than ever available to consumers through listing portals and other sources, would-be buyers and sellers rely on the positive experiences of others as the basis for choosing an agent,” said Paul Bishop, vice president of research at NAR. 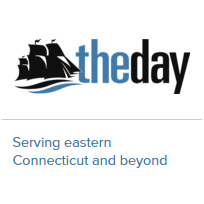 Frank Chimento, vice president of brokerage development at real estate tech provider Elm Street Technology, suggested that many agents are focusing too much on online leads, and should divert more attention to tapping their existing networks for new clients. Chimento, who used to work at listing portal Realtor.com, claimed that generally only one to two percent of leads from listing portals convert into transactions. Realtor Hedda Parashos also speculated that the share of real estate business that comes from websites has stayed constant, even as real estate websites have become extremely popular, because buyers are finding listings online and then visiting open houses for those properties without agents. Ironically, that would mean websites may be setting many buyers up to find their agents in person, rather than connecting agents and buyers directly. The stagnancy of real estate transactions arising from connections made online may also reflect worsening lead quality. The exponential increase in both real estate web traffic and spending on online advertising would logically accompany a rise in the total volume of online leads. “The same buyer is a lead on 10 different sites,” added broker Sam Debord. While real estate websites can help consumers collect information on properties, learn about local market conditions and set expectations about pricing, “in the end, when a consumer is contemplating a significant financial transaction, all of this information, no matter how useful, is no match for the trust that is part of a referral or a positive experience in the past with an agent,” Bishop said. Data from Zillow Group indicates that a larger share of buyers and sellers find their agents online than the NAR data does — but not that much larger. Twenty-eight percent of buyers found their agent through a website, with real estate websites/apps serving as the most common source (19%), followed by search engines (6%) and social networking sites/apps (3%,) according to Zillow’s 2017 consumer housing trends report. 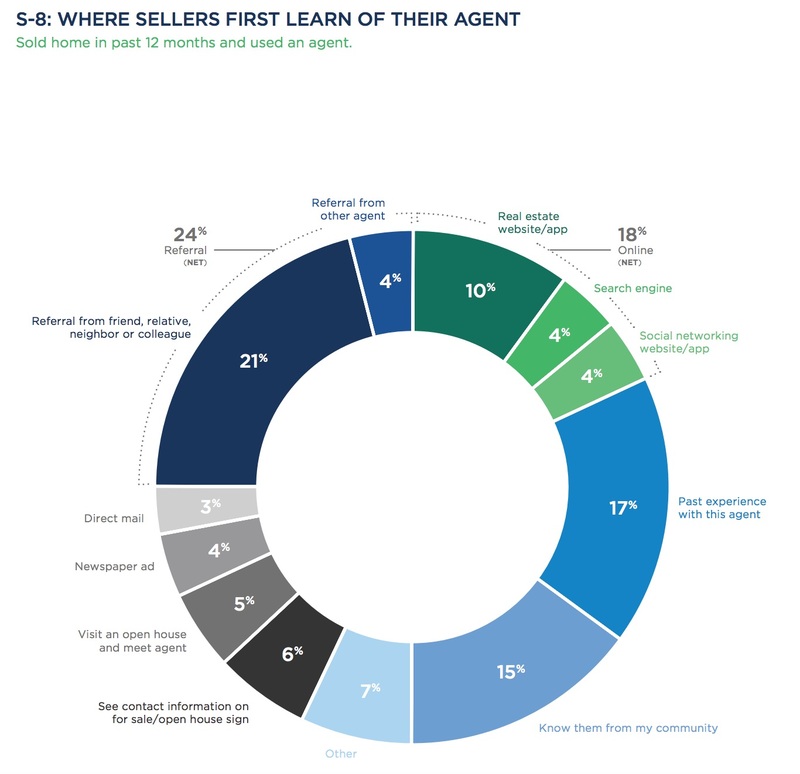 While Zillow’s 2017 survey polled buyers on how they “found” their agent, it asked sellers a slightly different question: where they “first learned” of their agent. Eighteen percent of sellers indicated they had done so online, with 10 percent coming from real estate website/apps, 4 percent from search engines and 4 percent from social networking websites/apps. Due to changes in survey methodology, Zillow spokeswoman Emily Heffter said comparisons should not be made between its 2017 and 2016 housing trends reports (the 2016 version was the first released by Zillow). 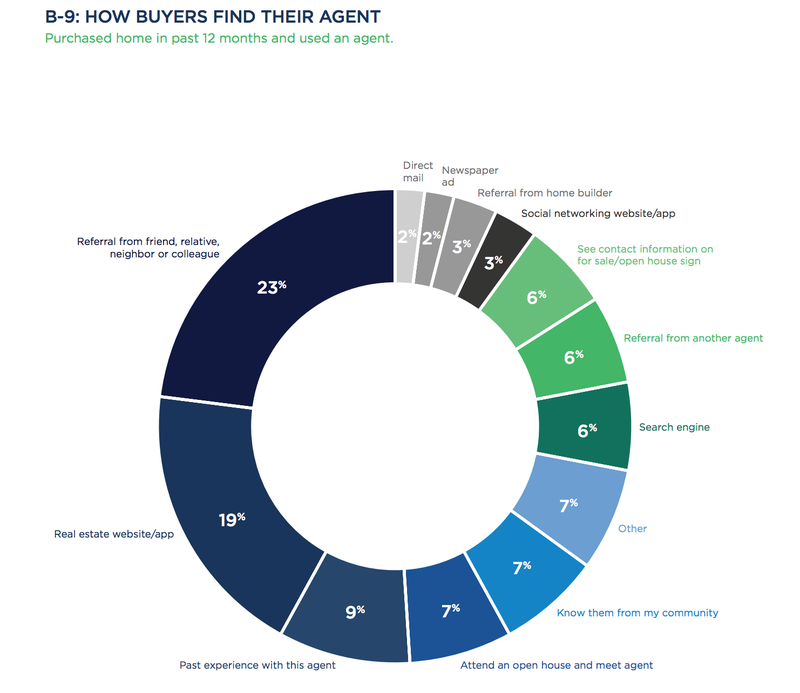 But the statistics on how agents connect with their clients in the 2016 report was basically the same as those in the 2017 version. Asked for its reaction to the NAR data, Zillow spokesman Viet Shelton said that it wouldn’t be appropriate to provide commentary on third-party surveys, because Zillow doesn’t have insight into their methodology or sample size.